Everyone's favorite purple dinosaur leads a gleeful celebration of mammals, reptiles, birds and fish in this program designed to delight and educate youngsters. 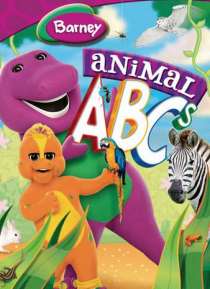 The animal world is exciting when it's the basis for learning the alphabet and even more so when viewers can sing along. With furry and feathered friends and Barney's famous songs and cheerful approach to learning, the ABCs have never been… more fun!